‘Shade’ is the slang word for dissing or throwing a sly dig at somebody. 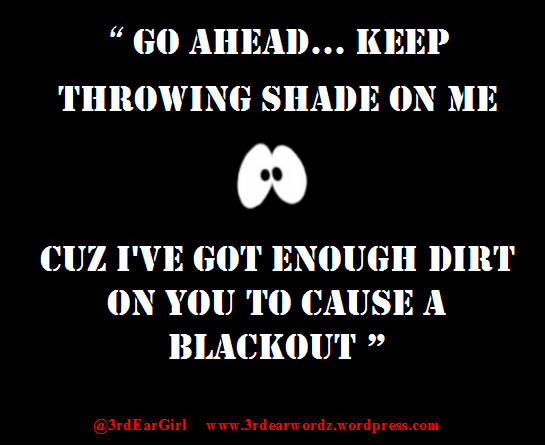 The term ‘throwing shade’ was made popular by the brilliant shade throwing reality cast of Real Housewives Of Atlanta… This quote was dreamt up for people who continually throw shade when they have more than enough darkness on their own doorstep. Throwing shade is cool…just be careful of who you’re throwing it on.